Wholesaler of a wide range of products which include electrical thermistor and ntc thermistor. We are offering of Electrical Thermistor which is thermally sensitive resistors whose prime function is to exhibit a large, predictable and precise change in electrical resistance when subjected to a corresponding change in body temperature. These thermistors exhibit a decrease in electrical resistance when subjected to an increase in body temperature and thermistors exhibit an increase in electrical resistance when subjected to an increase in body temperature. 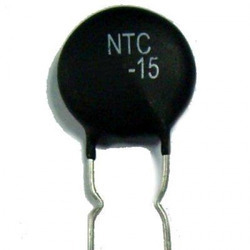 We are the Leading traders of NTC Thermistor (Negative Temperature Coefficient Thermistors) which widely used as inrush current limiter, temperature sensors (NTC type typically), self-resetting overcurrent protectors, and self-regulating heating elements. The most important characteristic of a thermistor is, without question, its extremely high temperature coefficient of resistance.